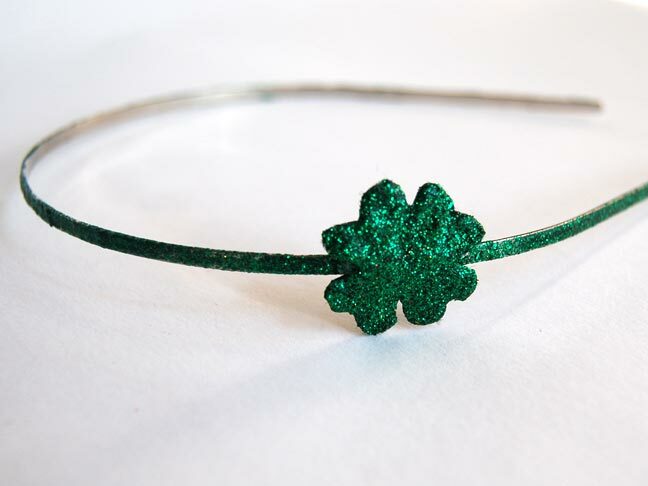 Add a pinch of glittery green to your St. Patty’s attire with this DIY clover headband. To celebrate this St. Patty’s Day! Using a foam brush, mix two tablespoons of mod podge and two tablespoons of green glitter in a disposable cup. Add more glitter or mod podge as needed. 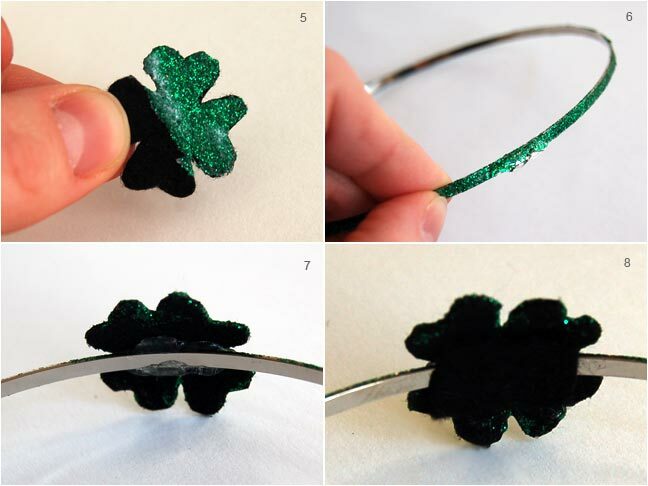 Paint the glitter – mod podge mix on the outside of the headband using the foam brush. Set the headband aside and let dry. Create a clover shape pattern out of paper. To aid in drawing, a four leaf clover looks like four hearts connected at the point of each heart. Place the pattern on a piece of stiff felt and trace with a pencil. Cut out the clover from the felt. Paint the glitter – mod podge mix onto the clover. 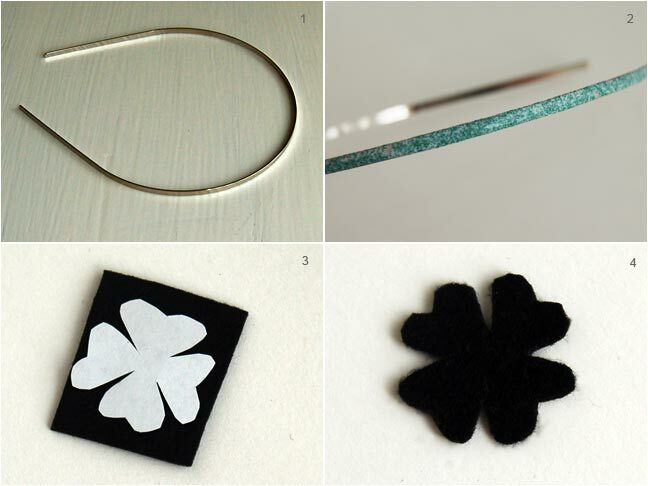 Once the clover and headband have dried, apply hot glue to attach the clover to the headband. 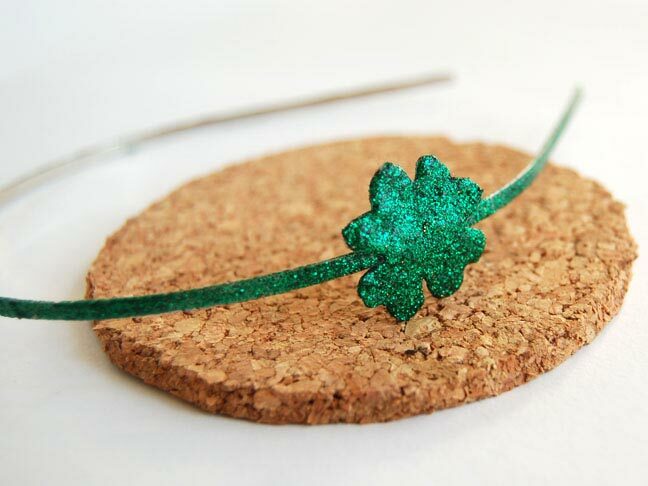 Using hot glue, attach a small piece of felt on the underside of the clover to tidy things up. What a fun way to avoid the pinchers on St. Patty’s Day!